Following Juventus’ late penalty win against AC Milan on Friday, Genoa beating Sampdoria on Saturday, this Sunday the 28th round of the Seria A competition, practically was played. On Monday Lazio will complete it against Torino in Rome. Stefano Pioli’s Inter were in rampant form against the biggest Serie A surprise this season Atalanta. 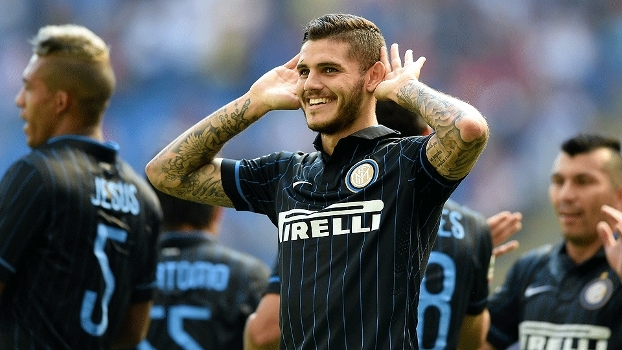 The Nerazzurri celebrated a high 7-1 win, in a game where two players enrolled a hat-trick. Those were Mauro Icardi ( 17′, 23′, 26′) and Ever Banega (31′, 34′, 67′). Freuler in the 42nd scored one for the visitors, while Gagliardini in the 52nd scored for 6-1 before Banega completed the final result in the 67th minute. Lorenzo Insigne netted twice as Napoli won 3-0 at home to struggling Crotone on Sunday to temporarily climb above Roma into second place in Serie A.